QUESTION: Mr. Armstrong, can the sanctions against North Korea succeed now that China is implementing them as well? ANSWER: The UN sanctions are curbs on everything from lead and fish exports to questionable North Korean companies. North Korea is in the middle of a serious drought that’s ruining crops. Food is an issue there so this intensifies an already dark humanitarian picture where estimates are that 40% of the population is already malnourished. Only the people can create regime change. 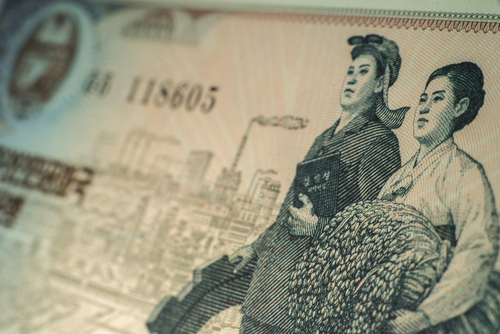 North Korea is in a very severe recession particularly since 2015. The sanctions directly impact the mining and manufacturing industries, which account for just over 30% of GDP. The increase in food shortages will not deter Kim Jong Un from his ambition of developing an arsenal of nuclear-tipped missiles. Only the people can overthrow him for he could care less about the people. North Korea’s dependency on Chinese fuel is China’s main ace-in-the-hole. If the fuel is cut off, then we are looking at curtaining his air force and their electricity production will decline significantly. To the extent that the sanction force the people to rise up, then they can work. Otherwise, Kim will not yield as long as he retains power.